An RF Amplifier that was 3D printed on the Nano Dimension DragonFly Pro System with Harris Corp. Photo courtesy of Nano Dimension/Harris Corp.
Tests are said to demonstrate the viability of 3D printed electronics for rapid, affordable prototyping and low-volume manufacturing of antennas. NESS ZIONA, Israel and MELBOURNE, Fla.—Tests conducted by Harris Corporation have reportedly shown the performance of 3D printed radio frequency (RF) circuits to be comparable to that of circuits developed using conventional manufacturing techniques. 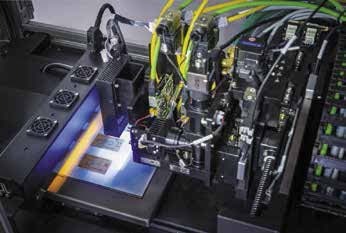 Harris selected additive electronics provider Nano Dimension, and its multi-material DragonFly Pro 3D electronics printer, to produce the functional circuits in a single print. Harris (www.harris.com) studied the use of additive manufacturing to develop RF circuits for wireless systems as part of a joint project with the Israel Innovation Authority and Space Florida Foundation, a partnership promoting research, development, and the commercialization of aerospace and technology projects. 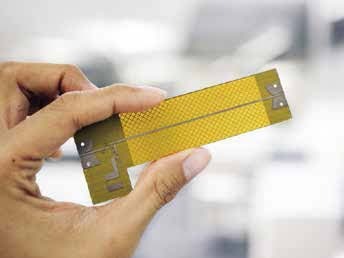 Harris Corporation is a prominent developer of RF circuits for electronic warfare and communications systems. In recent years, the development of these circuits and systems, used for conveying information such as data, video, and voice across long distances, has focused on improving mobility and performance. Harris also has focused on reducing development time and cost, which typically is a long, complex multi-stage process when using conventional manufacturing methods. The DragonFly 2020 Pro 3D Printer works with conductive and dielectric materials. Photo courtesy of Nano Dimension. The Nano Dimension DragonFly Pro is a multi-material, extremely precise inkjet deposition 3D printing system that incorporates conductive silver inks and dielectric inks to create functional electronic parts in a single print. In June 2017, Nano Dimension (www.nano-di.com) received an Israel Innovation Authority grant approval to finance a project to develop 3D printing of electronic modules for space applications in collaboration with Harris. The grant project was designed to demonstrate whether 3D printing of double-sided, multilayer circuits that distribute digital, power and RF signals could reduce the size, weight, power, and cost of space systems. The DragonFly 2020 Pro 3D printer is said to transform electromechanical development by empowering companies to take control of their entire development cycle. 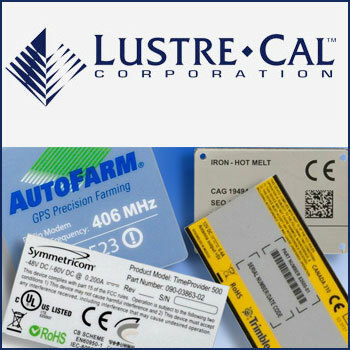 The system enables the 3D printing of functional electronics, such as encapsulated sensors, conductive free-form geometries, antennas, molded connected devices, printed circuit boards, and other innovative devices.